The Aletz Glacier, Bernese Alps, Switzerland. This is great Bach! One of his most tuneful and popular organ works, the Little Fugue in G Minor, performed by Ton Koopman in an unidentified German Baroque church. Paul had suffered greatly, albeit willingly, and was to suffer even more. He traveled constantly in a time when travel was miserable. He starved, froze, endured insects and filth, was shipwrecked and imprisoned, and finally died in a Roman jail. How could he endure so much? Why did he endure so much? Here, he tells us. The power of the Spirit is beyond any other power. 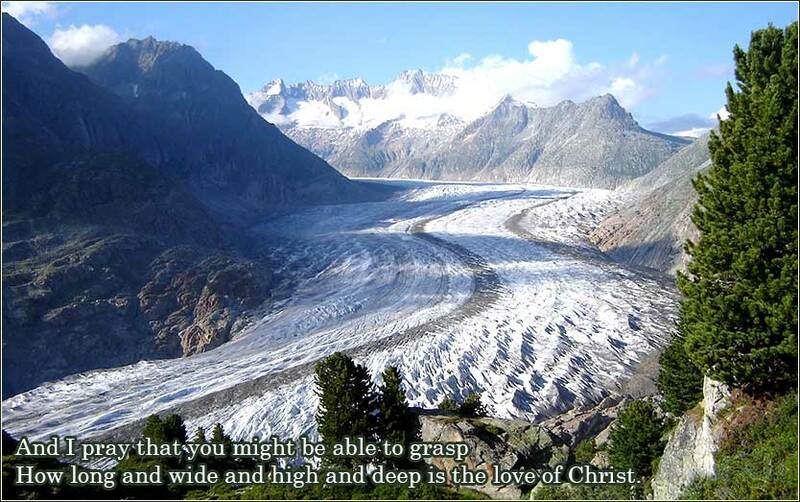 The love of Christ is so “wide and long and high and deep” that it surpasses knowledge. It surpasses explanation. Paul was the happiest man on earth. If you believe deeply and act on your beliefs, God will not let you down. 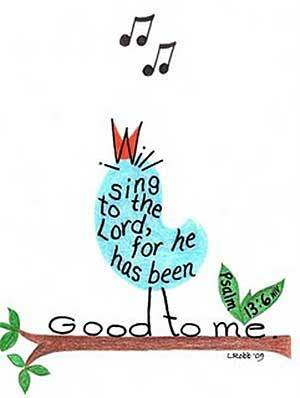 He will give us unlimited inner strength. Never be reluctant to feel the love of Christ when you are serving God, no matter what tribulations the world imposes on you. Let the feeling of the Spirit shine through. It will maintain you and bolster you in all circumstances. Christ has promised to take care of us when we die, but the Holy Spirit is among us in the world. Let it shine through, let it comfort and support and propel you in your daily life.